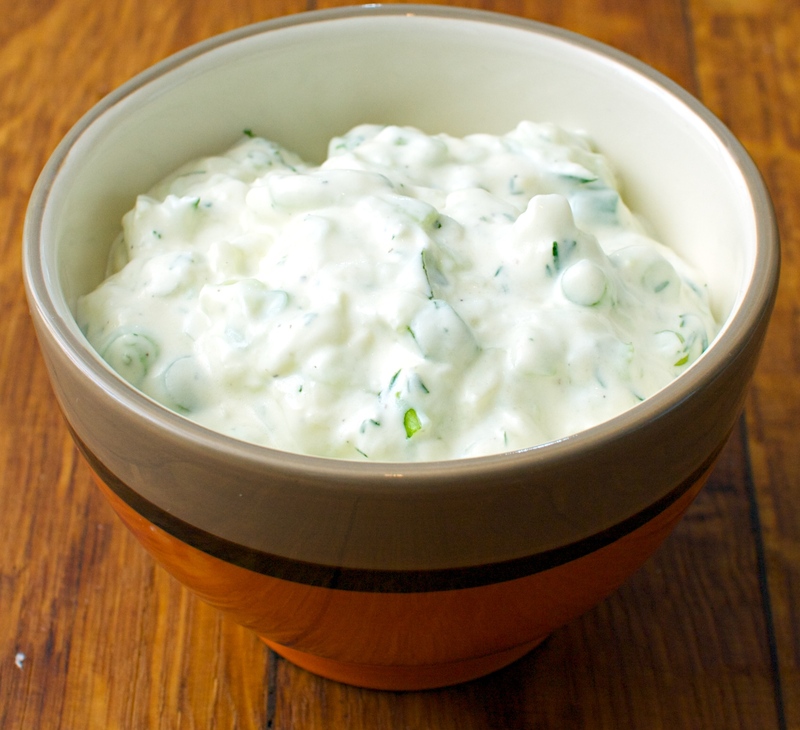 The best Tzatziki we’ve made with great flavour and a really thick creamy texture. Totally different to the watery shop-bought versions. Serve with lightly toasted pitta breads, for dipping, or Greek lamb kebabs. Peel most of the skin off the cucumber but not all of it. Coarsely grate the cucumber, put into a clean tea towel and squeeze out most of the excess liquid. Crush the garlic into a smooth paste by adding a large pinch of salt and crushing on a board with the back of a large knife. Put the yogurt into a bowl and stir in the cucumber, garlic, scallions, dill or mint, olive oil, vinegar and some seasoning.